In my last post, I talked about the importance of kids learning the fundamental individual skills associated with the sports they play. The timing of that post was a bit self-serving, as today I’m announcing the availability of the How to Rock Sports series of Android apps. Using animated cartoon characters and audio instruction, these apps teach basic sports skills in a way that will appeal to young beginners. 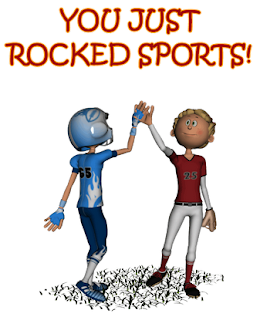 These apps will also help those parents who want to teach sports to their child. 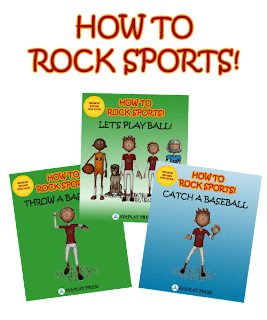 As an introduction to the How to Rock Sports series, the free Let's Play Ball app is available on Google’s Play store. This app provides tips related to throwing and catching a ball and shooting a basketball. I've also released Throw a Baseball and Catch a Baseball. These apps break down each part of these skills, providing more in-depth instruction. Shoot a Basketball and Throw a Football are in the works, with more to follow. I've worked hard over the past year putting together these apps. I hope the readers of Inside Youth Sports find the results worthwhile. If you download and like Let's Play Ball or the other apps, please pass the word on to other parents!